Hoping for a break in the case of missing 13-year-old Jayme Closs, who vanished the same day in October that her parents were found shot to death in their rural Wisconsin home, authorities are asking hunters to be on the lookout for clues that could help them find the girl. Add Jayme Closs as an interest to stay up to date on the latest Jayme Closs news, video, and analysis from ABC News. As deer hunting season in Wisconsin got underway Saturday, the Barron County, Wisconsin, sheriff's department sent out an urgent request to the more than 4,000 people granted deer hunting licenses. "We ask that hunters report anything suspicious such as clothing, weapons or anything you think is just not right on your property," the sheriff's department in a statement earlier this week. 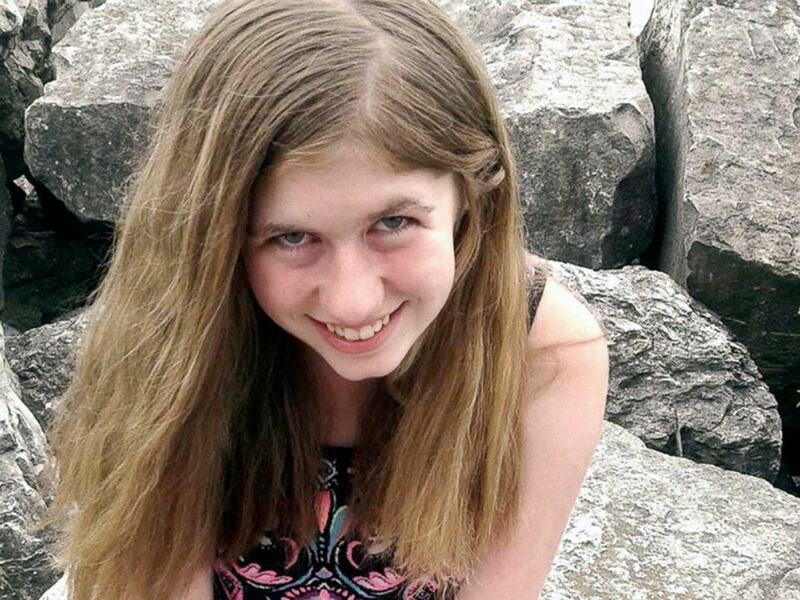 Jayme Closs in an undated photo provided by Barron County, Wis., Sheriff's Department. Closs, a missing teenage girl, could be in danger after two adults were found dead at a home in Barron, Wis., on Oct. 15, 2018. The search for Jayme began on Oct. 15 when sheriff's deputies responded to a 911 call from her family's home in the small rural town of Barron and discovered her parents, Denise and James Closs, shot dead. A police dispatcher told investigators that while no one spoke on the 911 call, voices could be heard yelling in the background. The dispatcher called the number back and got Denise Closs' voicemail. 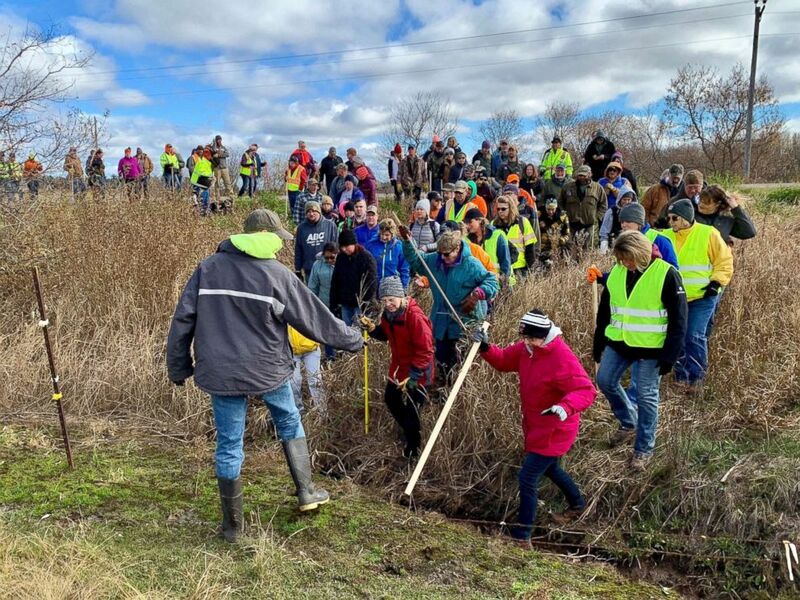 Volunteers cross a creek and barbed wire near Barron, Wis., Oct. 23, 2018, on their way to a ground search for 13-year-old Jayme Closs who was discovered missing Oct. 15 after her parents were found fatally shot at their home. Jayme was believed to be home at the time of the killings, officials said. Investigators suspect the girl was abducted, authorities said. "There is still hope in this department on this case and the community support and prayers that we have been given continues to fuel our drive and determination to bring Jayme home," the sheriff's department statement reads. 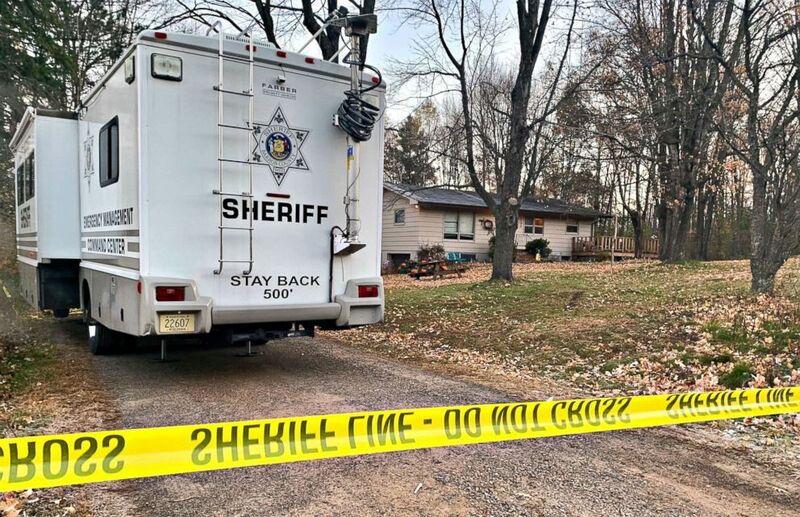 A Barron County, Wis. sheriff's vehicle sits outside, Oct. 23, 2018, the home where James Closs and Denise Closs were found fatally shot on Oct. 15. A search was being organized to find the couple's missing 13-year-old daughter, Jayme. Thousands of volunteers have helped comb the fields, neighborhoods and forests near the Closs home, but have found no trace of Jayme. A $50,000 reward has been offered for any information leading to the discovery of Jayme. Half the reward was put up by Jennie-O Turkey Store, a turkey hatchery and processing plant in Barron where Jayme's parents worked.